Spain take silver, Denmark bronze at the European Championship in Montengro. 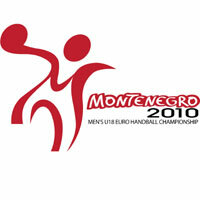 The 2010 Men's 18 European Championship has come to an end. Croatia are the new champions, Spain took silver and bronze went to Denmark. Germany - one of the favourites - were defeated in the semi-finals and finished forth. The M18 finished on Sunday evening with the placement duels and the Final. The host of this great spectacle, which brought together 16 best European National Teams, was Montenegro. Croatia showed the best handball out of the 16 teams. With exceptional individuals skills, they proved already in the semi-finals against Germany that they could be the champions. They were patient and had outstanding goalkeepers, Asanin and Ivic. In the Final they saved three 7-m shots in the first half. The Croats also showed something new, an exceptional mental strength. In the Final there was a situation when they were one goal and two players down, but they managed to score and not get goals from Spain. The second place was taken by the Spanish team. The Spaniards were beaten by Germany during the group stage, but they improved and defeated Portugal, Montenegro and Slovenia. They also won against Denmark in the semi-finals, a brilliant achievement. The Danish side took the bronze medal as consolation against Germany after an exciting match that went on extra-time. The Serbian team finished 5th, Switzerland 6th, Sweden 7th, Slovenia 8th and Russia 9th. These were the places that qualify for the 2011 World Championship in Argentina. In addition, France (taking part at the IOC Youth Games in Singapore) will also be there representing Europe. Visit the official website of the Men's 18 European Championship and check out the photo gallery of the event!